Hugh’s hair keeps flopping over/into his eyes. When she gets home from school, she’s so tired all she can do is flop down in front of the television. A newborn baby’s head flops backward if you don’t support it. He faceplanted and broke his glasses. 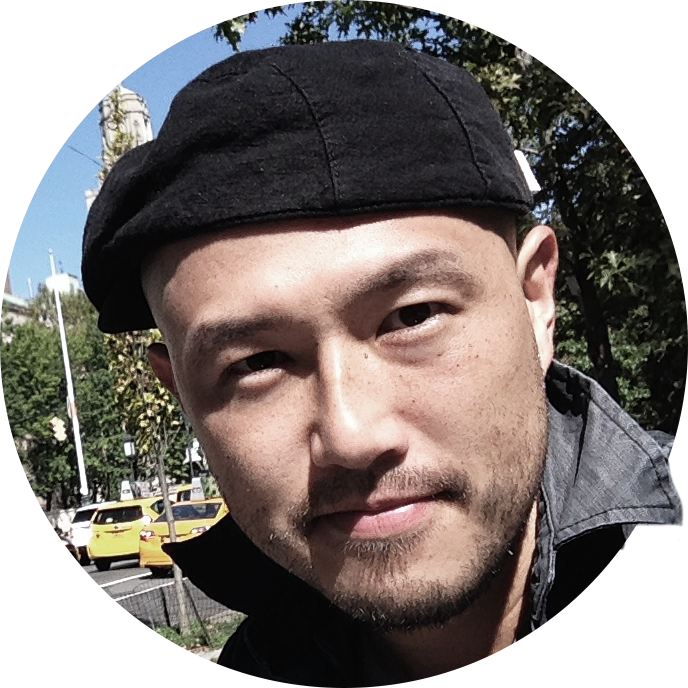 Various techniques will be demonstrated. He got a job demonstrating kitchen equipment in a department store. The teacher demonstrated how to use the equipment. The ankle twisted when she was executing a particularly complex step. 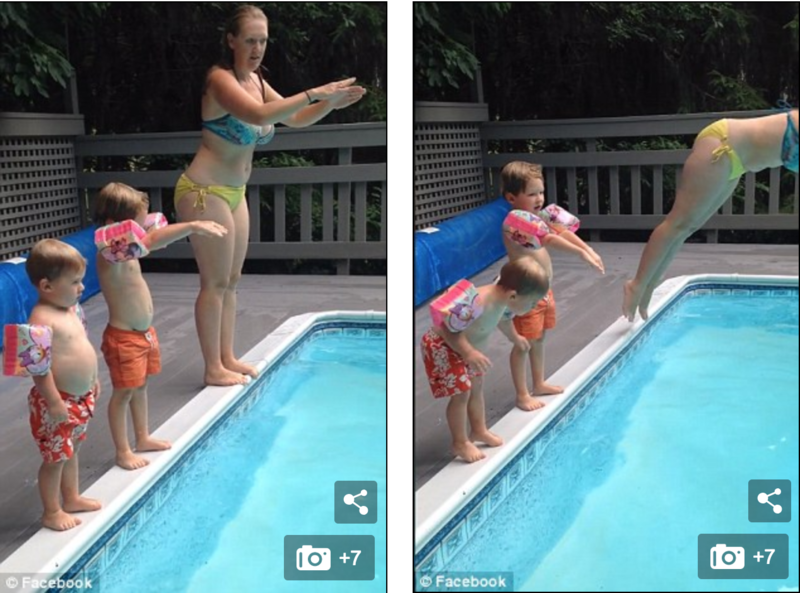 A hilarious video reveals a little boy executing a spectacular belly flop into the pool below after he attempted to mimic his mother’s dive. Corina Casanova, a mother from Asheville, North Carolina, shared a video on Facebook Sunday from when she was hanging at the pool with her two children. The three were perched up on the ledge when Corina demonstrated a dive to her two son’s before encouraging them to try it for themselves. Ashley spent most of the evening hanging with her friend. Sometimes we just hang in the park. They were perched on a narrow ledge near the cliff top. Corina’s oldest was unafraid to execute the new move and placed his hands up above his head before diving into the water. But her youngest child appeared to be unhappy about being left alone on the ledge. In the background of the video, you can hear the kid’s mom as well as the person filming the dive encouraging him to jump into the pool. Then, to everyone’s amazement, the kid fell slowly with his back completely straight before belly flopping into the water. 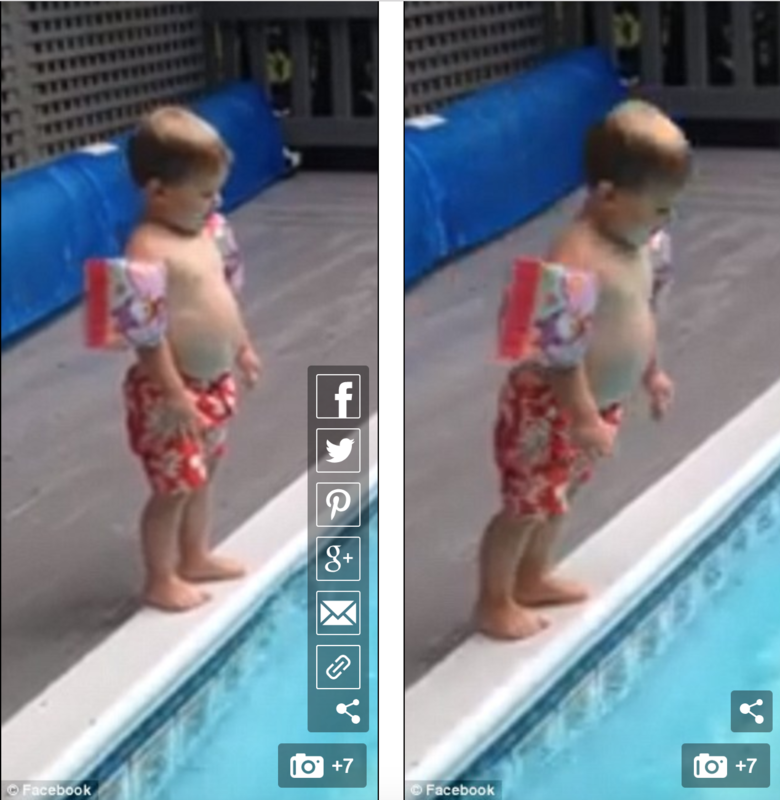 ‘Oh s***,’ one person exclaimed once the child hit the water with a hard smack. But he popped up quickly and started to laugh with everyone else in the pool. Nonsense!” he exclaimed in disgust. “You can’t leave now!” she exclaimed. You’re going to get a smack on the bottom if you don’t stop throwing your toys. The daffodils and tulips are popping up everywhere. 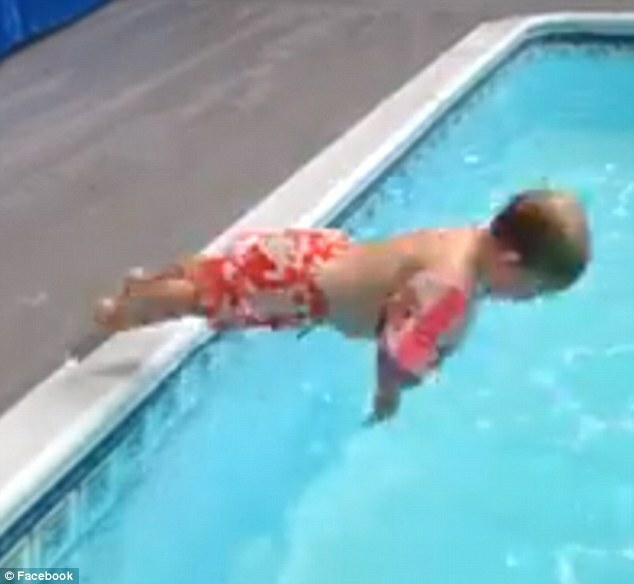 The viral video has since been viewed more than 2.5 million times with people commenting on the hilarious belly flop. One person wrote, ‘I literally burst out laughing,’ while another said the flop was exactly how they approached life every day. I walked in and everyone burst out laughing. I almost burst out laughing when I saw what she was wearing. ‘I hate you!’ Julia suddenly burst out.